Sulis Minerva is the goddess of Bath Spring. The Celts worshipped Sulis at the spring, and when the Romans invaded they combined her with their own goddess of healing Minerva. They built a huge complex around the natural spring to honour the goddess and take advantage of the healing waters. 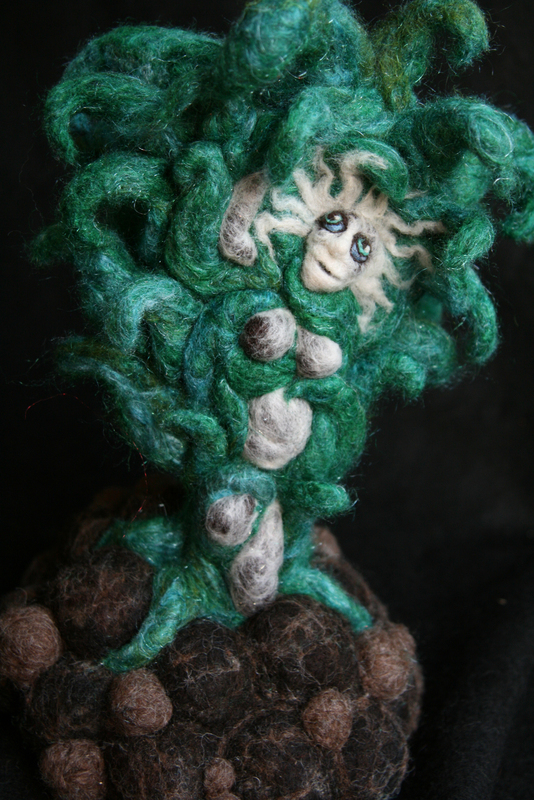 This piece is entirely needle felted and will be displayed in a huge vintage glass jar.